Make your party fun and memorable with this list of DIY party favors for adults. Creative ideas for all types of parties that won't break your budget. Party favors shouldn’t end with grade school, but goodie bags filled with stickers and candy might not cut it for the adult crowd. Lucky for you we’ve compiled an extensive list of DIY party favors for adults that you can make regardless of your skill level. Whatever your party – tea party, bachelor party, holiday soiree or backyard barbeque – and whatever your budget – we promise to inspire you and leave your guests smiling and thanking you long after the party has ended! Wine charms are cute but a personalized wine glass takes it to a whole new level. We suggest dipping the glasses in chalkboard paint and then providing paint pens so guests can personalize the glasses with their names or favorite sayings. The paint pens will make it permanent rather than fleeting like chalk. Get all the details on making your own here. Who knew that a CD envelope makes a perfect carrier for oversized, indulgent, and oh so delicious cookies? Apparently, these ladies did and they even created cute little graphics to go with them! These are Christmas themed but cookie favors could be personalized for everything from weddings and birthday parties to Valentine’s and Easter. Personally, we’ve never found an occasion that a cookie can’t make better. Is there anything as refreshing as an ice cold glass of fresh squeezed lemonade on a hot summer day? Imagine the delight your guests will feel taking home their own lemonade kit from a Memorial Day or 4th of July themed party! If you have an herb garden you could even include mint leaves to step up the flavors! Make your own kits using this tutorial. Oh Chocolate! You go with weddings, baby showers, bachelorette parties, birthdays, and so on. It’s hard to think of an occasion that a guest couldn’t appreciate taking a chocolate bar home with them. Just like Caitlin says, you don’t need to fret about which chocolate you’re using because you’ll be pulling the original wrapper off so no one will ever know! 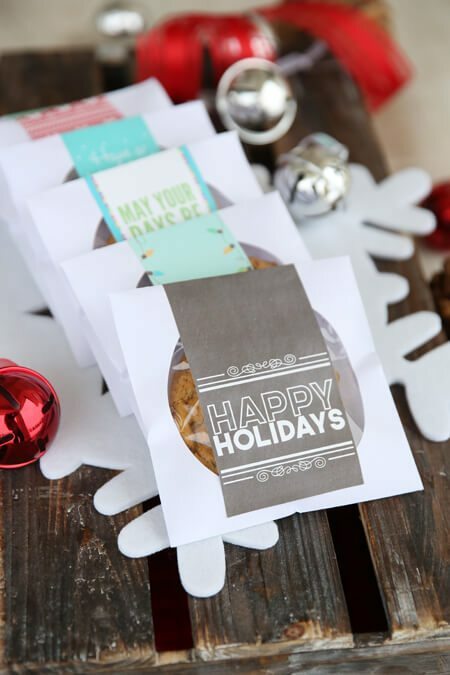 Since these favors can be made for under $1 each – they are super budget friendly. If you’ve ever lived in the south and thrown a hurricane party – you know you wish you’d thought of having these DIY soy candles as a party favor! Easy to make and customizable with the scents (or not) of your choosing – they make great, useful gifts your friends will appreciate. BONUS: Add citronella or lemongrass and guests can use them to keep mosquitoes away all summer long! Ladies love to get pampered or just pamper themselves occasionally. A Pedicure in a Jar is a great and affordable way to appreciate the ladies in your life. Most of the supplies can be purchased at the dollar store. You’ll have fun choosing out the right shades for each lady and her personality! A holiday party wouldn’t be complete without sending guests home with an ornament to commemorate the party for years to come. This glittery, cosmic creation is sure to be an eye catcher and conversation starter that will bring back warm memories every time it is unwrapped and strung on the tree. Popcorn is such a versatile party favor! From baby showers toan Academy Awards viewing party to a housewarming party – popcorn can be the perfect take home treat and the possible puns are endless too! “She’s About To Pop” or “Thanks for Popping By” – we could keep going for days but now we’re thinking of all the flavor combinations as well. Should you go salty, sweet, or savory? Hot Chocolate will certainly warm your guests up when you give it a decidedly adult twist by including a complimentary liqueur to go with it. Should you go with Kahlua, Amaretto or perhaps some Bailey’s instead? Guests will love your creative twist on a cold winter night. Create your own kits with these easy tips. Tea and cookies go together exquisitely, and these adorable tea bag cookie pouches marry that combination in an adorable way. A few simple folds and you’ll quickly be on your way to completion. Your most difficult choices will be which paper to use next and which flavor cookies to bake! Home brewing, local breweries, and all things beer are all the rage right now. In fact beer tasting parties keep popping up! What better way to memorialize a beer tasting party then with a beer bread party favor to take home? If you’ve never tried beer bread it’s really quite delicious and almost fool proof to make! Stumped what to send home with guests after Thanksgiving dinner other than leftovers? Whip up these adorable petite pumpkin pies wrapped in beautiful fabric and embellished with plastic ware in case the urge to eat them hits before they make it home! Guests will feel truly cherished when you slip these in their hands before they go. While the example for this DIY Potpourri Party Favor calls for a Christmas theme, we think it would also be great for a going away party as well. If your home always had a delicious smell – from cookies to lavender – send friends home with that same scent so they can continue to think of you long after you’ve laid down roots in a new city. Smells bring on nostalgia in such a powerful way you can expect the phone to ring every time they use your taste of home potpourri! Guests will be sure to appreciate your forward thinking when they break open a mimosa kit following a wedding, New Year’s celebration, or other joyous event. As easy as can be, simply label champagne bottles with a party relevant label and arrange in a box with orange juice and a flute. It’s an easy and thoughtful way to recognize special guests. Finding favors that can appeal to both men and women is difficult to say the least! That’s what makes this unique party favor such a resounding hit. Pinecones find new life when dipped in soy wax and essential oils. Whether it’s the ladies using the fire starters to cozy up by the fireplace with a great new book or the men tossing them in the fire pit out back and bringing the man cave outside – these pine cone fire starters really do have mass appeal! It’s hard to find a woman who doesn’t look forward to a long, hot bath after a stressful day. This party favor takes that bath from relaxing to downright therapeutic with the addition of scented bath salts. Be prepared to share the recipe as friends fall in love with the soothing escape you’ve gifted them with! Everyone loves displaying pictures. It’s finding the time to print them and match them to the right picture frames that seems to slow us down. Offer your friends instant party memories by pairing a Polaroid or camera printer with these adorable (and simple!) block picture frames. Friends will love having an instant memento of the fun times they had celebrating with you! S’more kits are a fun easy and tasty treat you can send home with friends after almost any type of celebration. Enjoying the gooey goodness of roasted marshmallows, melted chocolate and crisp graham crackers makes for a goodie that really is a phenomenal treat. For an added twist try pairing different chocolate bars to create unique flavored s’mores – mint, salted caramel or peanut butter are all popular favorites! Hot sauce lovers will get a kick out of this party favor! (Pun intended!) Spice up your birthday, baby shower, chili cook off, or wedding by preparing your own hot sauce and sending home a bottle of it with friends! For added fun hold a naming contest with friends and see what crazy moniker your sauce ends up with! Cone shaped coffee filters are the beginning of these cute favors but it’s up to you what to do with them from there! Fill with coffee beans, single serve drip packets, and creamer or pair with a cute mug. All these ideas would go great with your next brunch bunch celebration. Personally, we’d be thrilled to receive one of these filled with chocolate covered espresso beans! Your crafty circle of friends will absolutely love this party favor. Pair together a dollar store cup with a skein of yarn and some knitting needles or crochet hooks for a unique and useful gift they’ll be using for ages! For those with family and friends in assisted living facilities or nursing homes – these would be great to hand out to residents as it will keep the balls of yarn from escaping hands and laps! New Year’s, Valentine’s, Wedding, and Anniversary parties could all use these “Kiss Me” Kits as great party favors for couples to take home. Who can forget the fireworks of the first kiss, being drunk on love and the freshness of it all? Each item in the kiss me kits stands to remind us of those very moments and appreciate the love we have beside us. Give guests party favors that will continue to grow with them at home with these adorable mini herb gardens. For added benefit include recipes that they can incorporate their herbs into with each potted plant along with a note of gratitude for attending. Remember that party favors should be as unique as your guests are. If you think something could work as a party favor or seems just right for your unique, quirky crew – don’t be afraid to try it. The greatest gift you’re getting at a party is time spent with friends. Make sure they realize how precious that is to you with an appropriate party favor as well. From food and drinks to plants and other notions – there’s a party favor that is best suited for your party and friends. 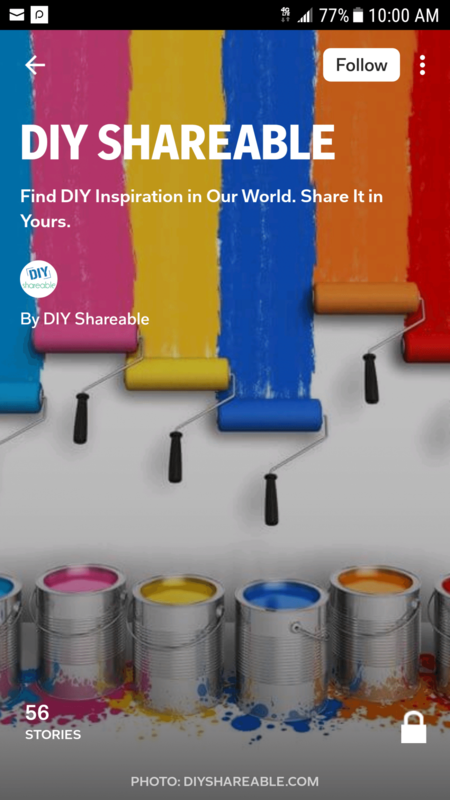 Explore the possibilities and dive into some fun projects as well with our list. Let us know what your favorite projects on this list were. We’d love to hear about any original DIY party favors for adults that you come up with and the process behind them. Tell us more and you might find yourself featured in a future blog post! Make sure to send us pictures of your work and don’t forget to share this post with friends as well!